I've decided to take a social media break in August...or should I say for the rest of August. Breaks are hard to take, but I also know that they are a very good thing! 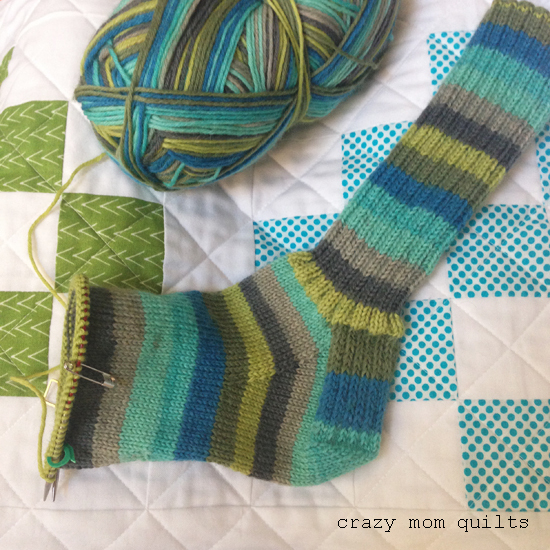 Thanks for taking the time to read my blog and thank you for all your support in my quilting and other creative adventures. It means a lot! I plan to be back at the beginning of September. Finish it up Friday will resume in September as well. (It will be here before you know it!) I'll see you then! I made this one with the leftovers from day 9. I love this version even better than the first one! It's scrap project # 176. 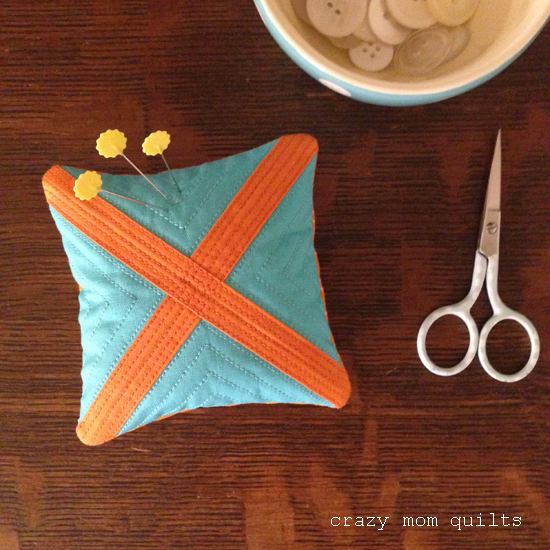 This pincushion was inspired by the cross cut quilt along that Debbie was hosting on Instagram. I love the colors and the simple design. It is scrap project # 177. 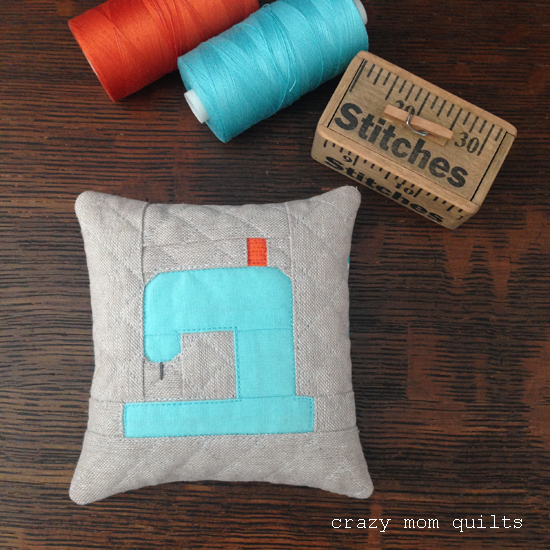 ....an itty bitty sewing machine! This one took some time, figuring and stitch ripping, but it was all worth it! 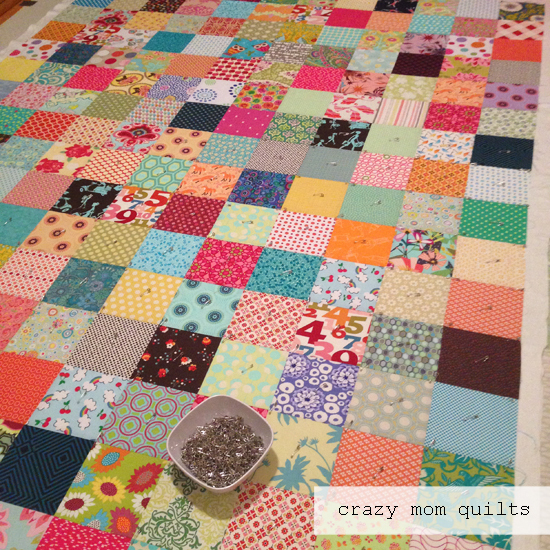 (I quilted the spool 3 different times. Gah!) This one is going in my permanent collection! It's scrap project # 178! 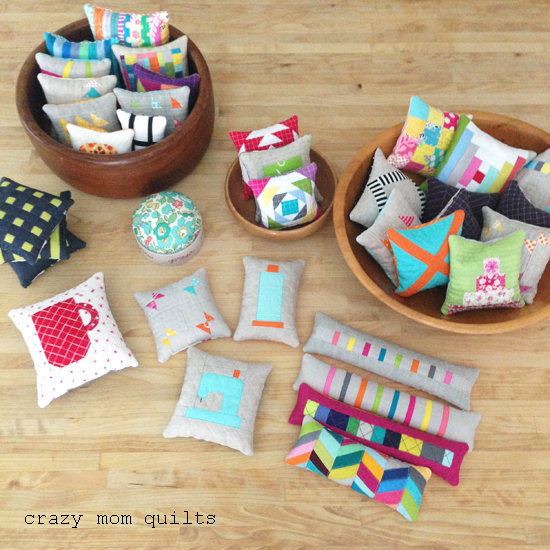 All together now...the 36 pincushions (!!!) that I made in July. It was a LOT of fun! Ridiculous, but fun! Thanks again to all of you who cheered me on and encouraged me along the way. It means so much! THANK YOU!!! 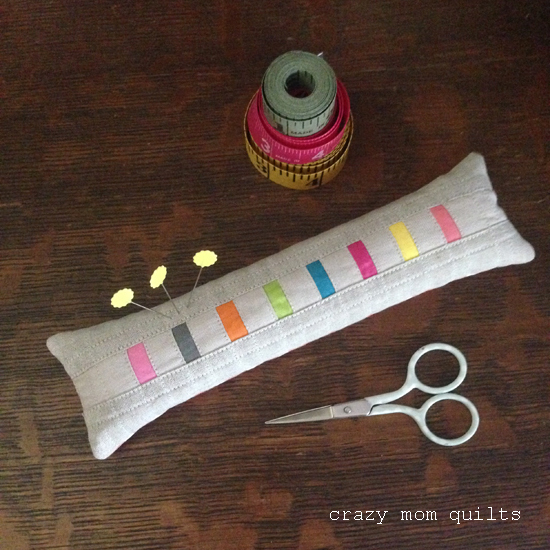 Q: What do you fill your pincushions with? A: Crushed walnut shells. They are available at larger pet stores and they are sold as lizard litter. You can also use play sand, crushed glass or emery in place of the walnut shells. If none of those are available, polyester fiberfill also works. 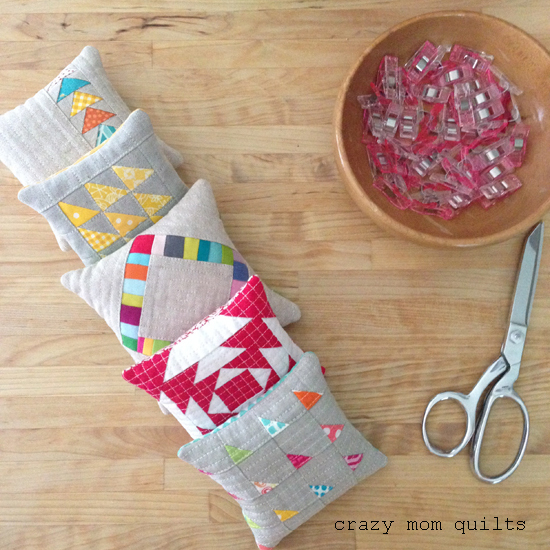 Q: What are you going to do with all your pincushions? A: A few of them will go in my permanent collection. The others, I have plans to give them away! Well, there you have it. :) Happy Monday to you!